When discussing the outcome of World War II, much is made of Axis mistakes. From Hitler’s launch of Operation Barbarossa to Japan’s failure to destroy the American carrier fleet, there were plenty to be had. But the Allies made plenty of military mistakes of their own. Before it joined in fighting the Germans, the USSR used the chaos of war to achieve other aims. 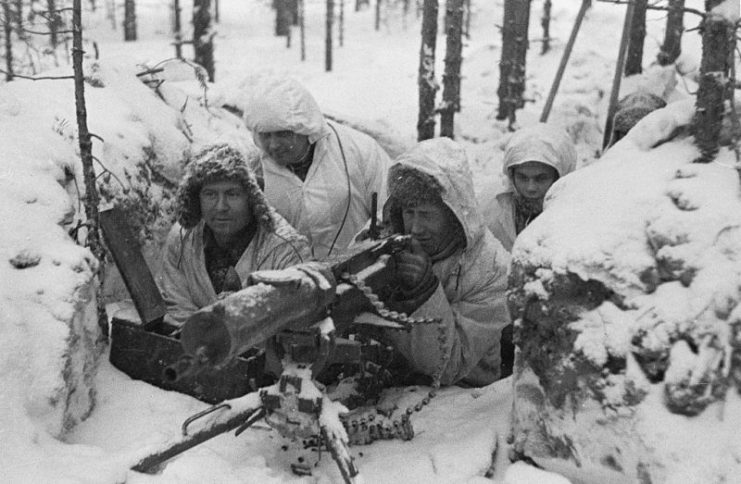 In November 1939, while the rest of the world was reeling from the invasion of Poland, the Soviets invaded Finland. Ironically for a nation that had once been saved from an invasion by winter, the Soviets were woefully unprepared for the cold of Finland. Guns malfunctioned. Vehicles seized up. Men froze to death amid the ice and snow. Their dark green uniforms, which would have disguised them in the forests further south, made them stand out against the snow. Meanwhile, the Finns used skis to swiftly cross the snow and saunas to create warm, safe medical stations. Though vastly superior in numbers, the Soviets suffered huge casualties and international humiliation. When peace was made in March, they took control of 11% of Finland, but it had come at a terrible cost. Falling for the same trick twice is always embarrassing. In war, it can be fatal. That’s why the Allied attitude to the Ardennes Forest stands out. The Ardennes lay in the border region where Belgium, France, and Germany met. In May 1940, the French left this area weakly defended, believing it to be impassable to armored formations. 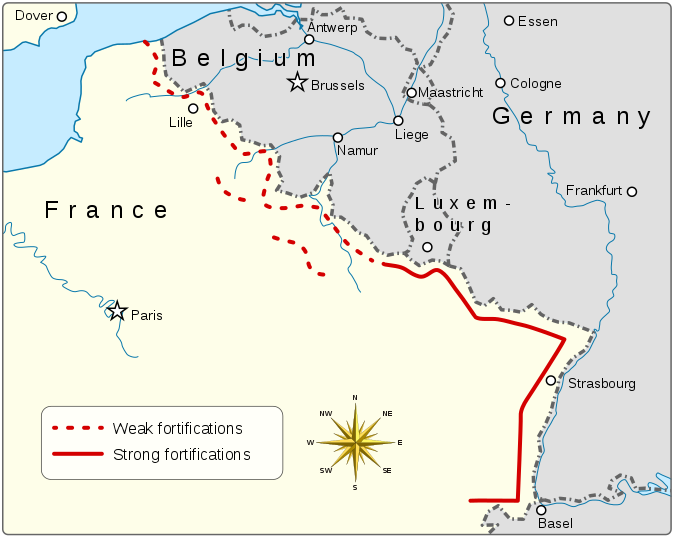 Instead, they relied on the fortified Maginot Line to hold the Germans back. The Germans proved the French wrong. Their tanks swept through the Ardennes, across previously neutral Belgium, and into France, completely ignoring the Maginot Line. France fell. Four and a half years later, the same thing happened all over again. In his last great throw of the dice, Hitler launched an offensive through the Ardennes in December 1944. Once again, his men burst through weak Allied lines, though they were eventually thwarted by their limited resources. 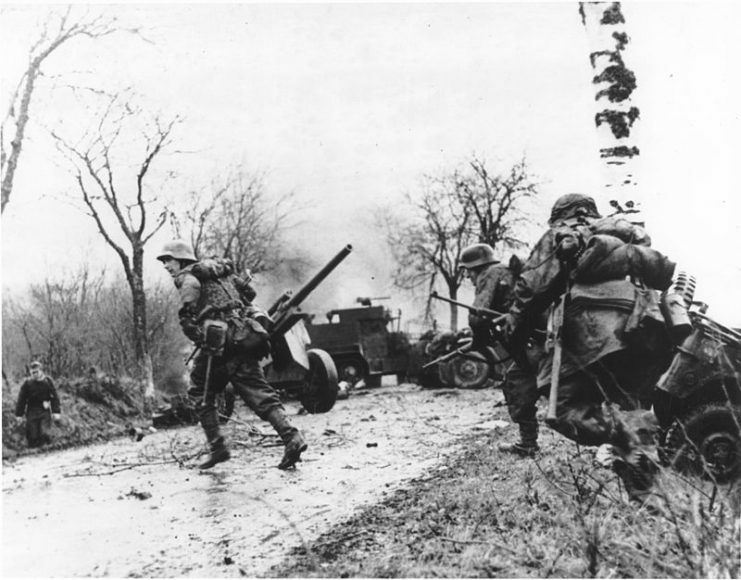 German troops advancing past abandoned American equipment.18 December 1944. In General Eisenhower’s defense, it has been argued that this second time it was a trap, and that the American lines were deliberately weak to draw the Germans in. But if that was the case, Eisenhower never admitted to his own clever plan. On 19 August 1942, the Allies launched a raid in force on the French port of Dieppe. It was a British Army operation, but the troops involved were mostly Canadian. The raid was meant to be a trial run for capturing a port by conducting an amphibious landing. It was a complete disaster. Most of the troops became trapped on the beaches, where they were mercilessly battered by German machine guns and artillery. Even the tanks were mostly unable to get into town. 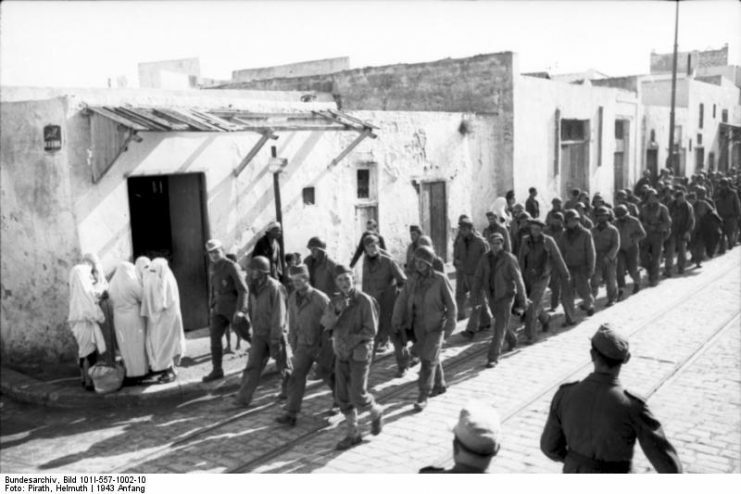 Within a few hours, the withdrawal was called, and more men were lost getting out. 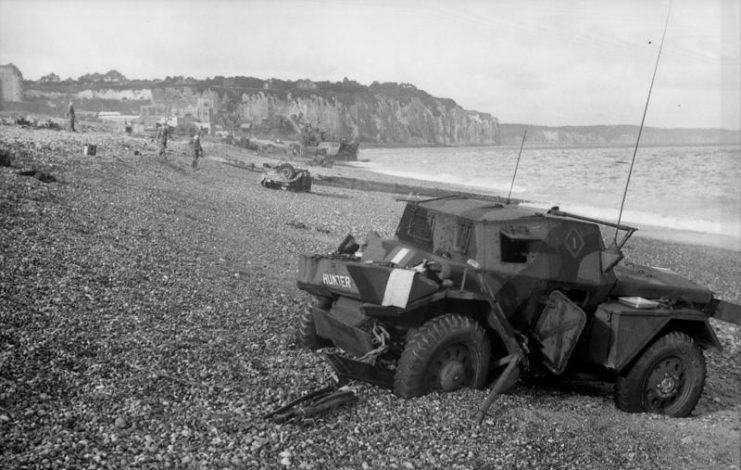 Over 4,000 Allied personnel were killed, wounded, or captured at Dieppe. It was a day that would forever color Canadian memories of the war. 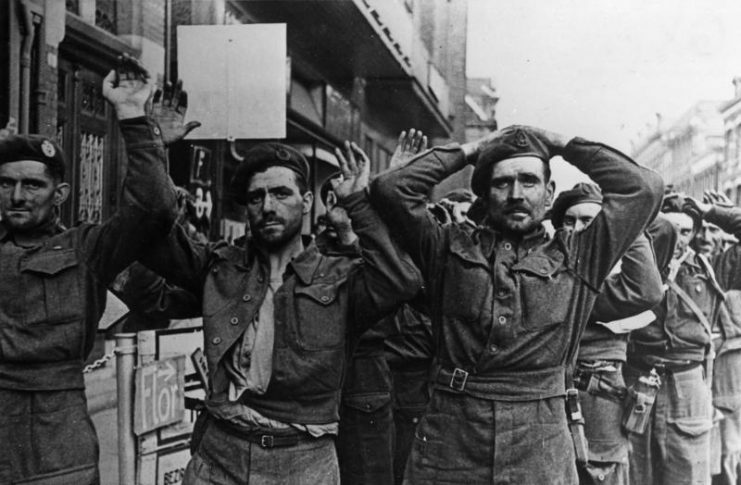 Canadian prisoners being led away through Dieppe after the raid. 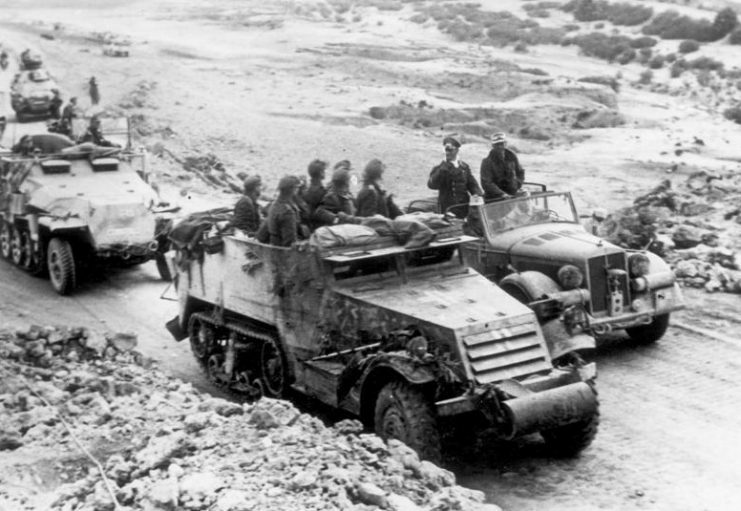 On 19 February 1943, German and Italian troops under General Rommel launched an attack against the Americans at the Kasserine Pass in Tunisia. It was an attack that proved just how unprepared the Americans were. As the Axis forces stormed forward, they caught the Americans by surprise. The Americans had faced little combat, while many of their opponents were veterans of the North African theater. The Americans made basic mistakes such as not digging in properly, bunching together, and failing to properly position their troops. They courageously held out for the first day of fighting, but on the second day they fell into a disorderly retreat. Rommel achieved his tactical goal of breaking through the pass, but he was unable to make the strategic gains he had hoped for. British and American forces regrouped beyond the pass and held up his advance. His aim of punching through the Allied lines and seizing their supplies never came to fruition. Not every failure turned into a disaster for the Allies. 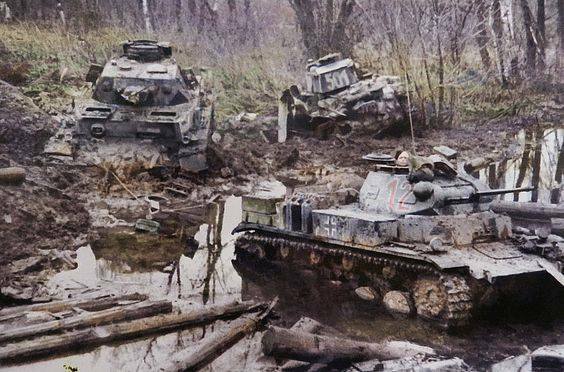 At the time of the second Ardennes offensive, the Allies were already bogged down in one of their biggest mistakes – the Battle of Hurtgen Forest. 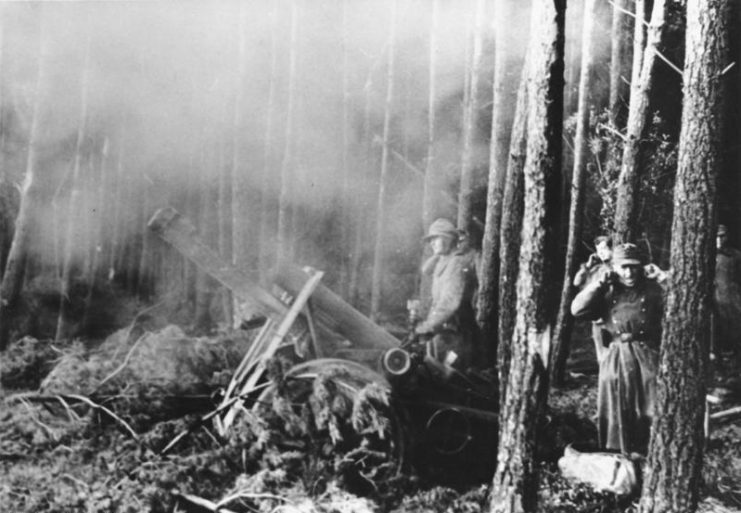 From September 1944 to February 1945, the Americans attacked German positions in the Hurtgen Forest, a wooded area around the border between Germany and Belgium. The Germans were well dug in amid the dense forest, making their lines almost impossible to break. The Americans tried again and again in a series of bloody assaults. They lost nearly 30,000 men killed or injured and thousands more to combat exhaustion. By the time they broke through, the Germans had opened the floodgates on industrial dams, something the battle had supposedly been launched to avoid. The war moved on thanks to real victories elsewhere, and the bloody waste in the Hurtgen was quietly ignored. One of the boldest ventures of the war, Operation Market Garden was launched by General Montgomery in September 1944. By landing paratroopers at a series of key bridges, he aimed to open a route across the Low Countries and into Germany. Conventional troops would follow before the Germans could counter-attack, ensuring victory. Unfortunately for the British and Polish paratroopers, Montgomery’s scheme proved too bold. The ground campaign didn’t advance as quickly as he had hoped. 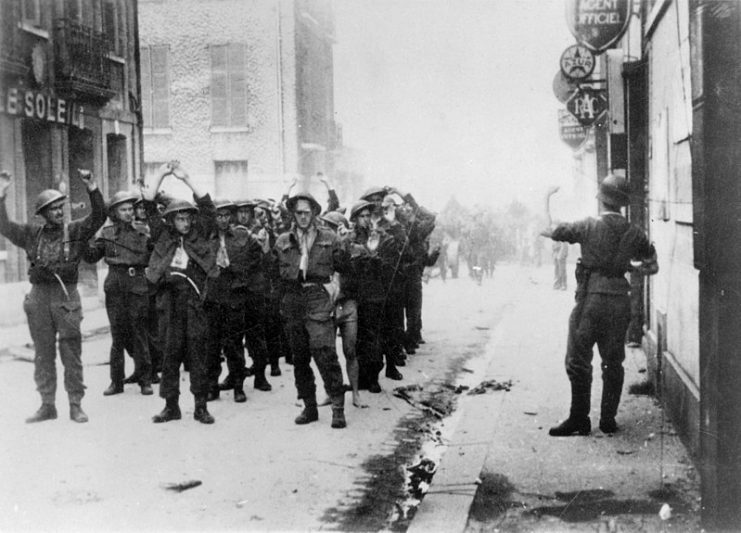 Allied paratroopers were trapped in the town of Arnhem for a week, taking heavy casualties at the hands of the Germans. 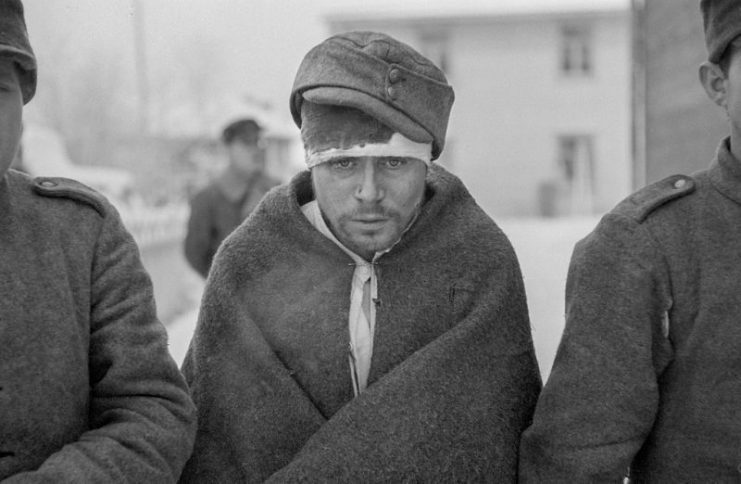 By the time they were withdrawn, 1,200 men had died. 6,600 more were left behind, injured, captured, or missing.